MacLaine: "Fame is a false god. Talent and hard work are not." 1982 legal divorce. Near the 29th wedding anniversary (Shani-return) it came to her attention that her long-estranged husband was also a thief (Zukra rules-6) He had slowly (Shani time) bilked millions of dollars (Zukra-6 mani-money) from her accounts (Shani rules 2-accounts), all the while maintaining a pleasant social facade of partnership (Zukra pleasant, partnership). * Rahu-Zukra bhukti * Zukra rules 6-divorce. 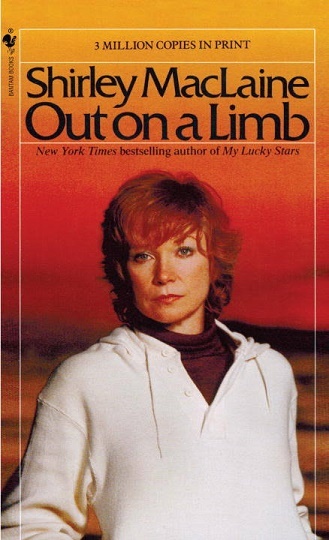 According to Out on a Limb 1934- drama-author Shirley MacLaine * her professor father was a narcissist who wanted mainly to gain praise in his professional world than in caring for his family. Her navamsha-11 Surya-yuti-Guru-yuti-Rahu confirms his solipsism and ambition for gain. Ms. MacLaine married a businessman (Kumbha-3). Zukra-3 tries to create harmony and sweetness with financial arrangements. Shani-yuti-Zukra emphasizes the qualities of social respect and work-duty in marriage, along with contractual trust of Zukra - however Zukra is rogesha indicating animosity and thievery. uttama-Surya-yuti-combust-mulatrikona-Mangala * this pair accepts drishti of Shani, suggesting that the social legitimacy demanded and conferred via Shani was supportive of her political activities and her entertainment career (5).
" I never knew anyone in a happy marriage." Guru-10-Kanya with no companion graha in Kanya suggests one socially recognized marriage. She separated from her first and only husband soon after their only child, a daughter, was born. The couple remained legally married although living in separate countries for approximately 29 years (a full Shani cycle). A legal divorce was undertaken only when it was discovered that her husband had embezzled millions of dollars from her accounts. Zukra rogesha. Mangala yuti uttama-Surya-5 * bright light * Ms MacLaine has been a recognizable public figure in politics, entertainment and creative literature since her early twenties. Typical of the "missing-steps" nichha-Budha, her logical arguments failed to provide a "scaffolding" mechanism by which mainstream readers could understand her claims, and MacLaine's books were ridiculed. Her nichha-Budha's fantasy-conceptualism is exacerbated by Guru's parivartamsha drishti to Budha. Yet Shani the potential "common sense" corrector cannot help Budha because cahnge-resistant Shani occupies 12th-from-Budha. Nichha-Budha often lacks the rungs in the ladder or has missing steps in a the scaffolding supports, thus the nichha-Budha explanations take great leaps without preparing the listener with necessary preparatory information. Guru ruled Budha-Meena grants a visionary, abstract, dreamlike cosmic viewpoint but this woolly area is a poor habitat for data-detail, precise stepwise argumentation instructional Budha. Shani-3 mental discipline= hardworking time-management and mature, responsible approach to contracts produces a very long-lasting public career. Shani Kumbha = occupies 7th-from-Chandra, rules 6th-from-Chandra * 30 year marriage, but began living in separate countries soon after birth of their only child. "I was married for 30 years, but he lived in Japan. I lived with many other men ... Men always wanted to get married, in my experience. So I stayed married to Steve so that I wouldn't marry them. I didn't like the idea of marriage. I find it too compromising, too confining. My parents had a 55-year bad marriage. I never knew anyone in a happy marriage. " "Although MacLaine's relationship with her husband had become increasingly remote, they were virtually separated by the mid-70s she was stunned to hear from a channeler in the early 80s that Parker had bilked her of millions, systematically transferring her money to his girlfriend's account in Tokyo. MacLaine hired a private investigator, who confirmed the charges." ~~ Marjorie Rosen. Darts and Flowers. People.com. 4/17/1995. Ms. MacLaine became a public exponent of "alternative history" narratives accepted only by a savvy advanced subculture. Although the narrative were written in simple and clear voice, the claims were unfamiliar to her more conventional mainstream "entertainment" audience. Zukra-3 publishing also rules 6 conflict, accusations, belittlement.